What Inspired me about Nephrology? I always found physiology interesting in medical school In residency, I was faced with many good choices "Nephrology vs Cardiology vs Pulm critical care." After rotating through each subspecialty I was confident what was the best field for me- Nephrology. 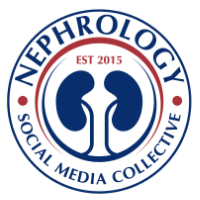 I enjoyed the multifaceted part of nephrology- the dialysis, transplant, electrolytes and glomerular diseases. As a resident, I was seeing inpatient consults but also had experience in the outpatient clinics, transplant clinics, peritoneal dialysis patients, hemodialysis patients, and procedures ranging from simple "Procrit " shots to kidney biopsies and femoral catheter placements. Mentorship played a major role in my decision as well. Not only the field was interesting but the people who I dealt with were approachable and great physicians. As opposed to other specialties, whereby i would be just another face in the crowd, nephrology made me feel special. I feel like embracing a resident, taking the time out to expose them to the field as much as possible, and having a one on one sit down with the chairman, program director, associate program director and attendings speaks for itself. I am glad I am considering nephrology.